Arebbusch Travel Lodge is situated in Windhoek, only a 5-minute drive to our Eros Domestic Airport and 50km from our International Airport. 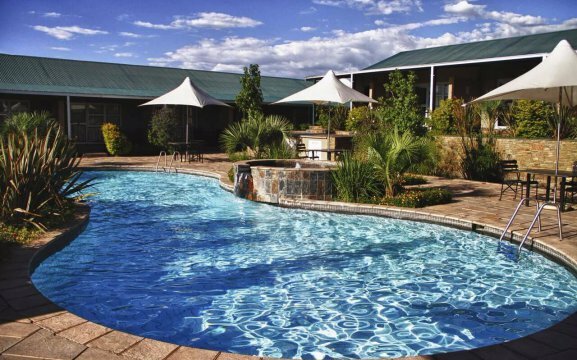 It features an outdoor pool, luxury accommodation, restaurant with bar and also conference facilities. Our dining area overlooks a pond with a fountain. Guests can enjoy their meals either inside the restaurant area or outside at our beautiful terrace. 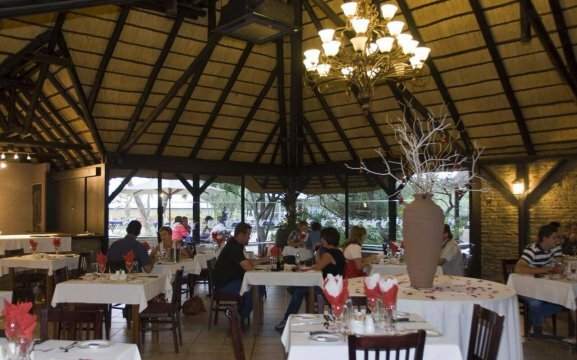 We serve buffet breakfast; lunch and dinner is a la carte menu. 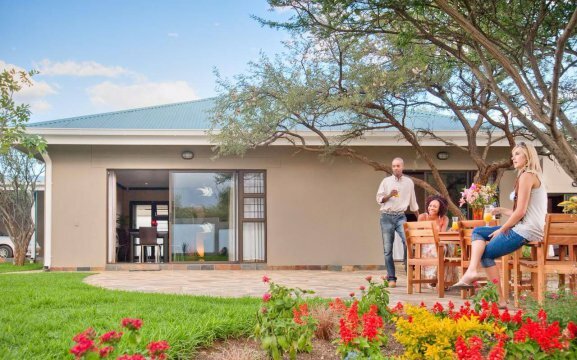 The accommodation at Arebbusch offers high-quality, family friendly units. 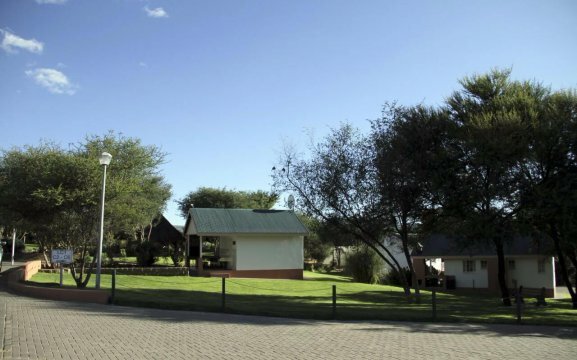 We have standard rooms, luxury rooms, self-catering units, luxury tents and also camping facilities. Each room is spacious and features a minibar, tea/coffee facilities, DSTV, telephone, air-conditioning and braai facilities. Our luxury tents have electrical power point and remote-controlled air-conditioners, luggage storage, braai facilities, a fridge and a kettle. 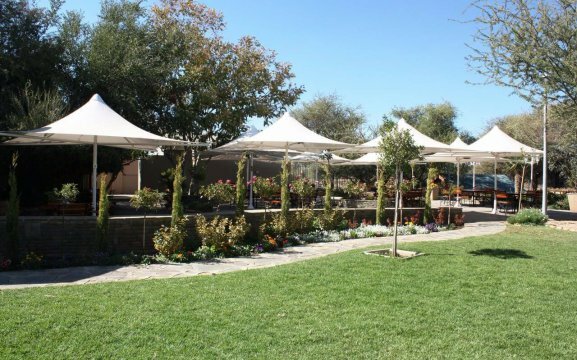 Our conference facilities at Arebbusch can cater for conferences, weddings, engagement parties, gala dinners, fashion shows, birthday parties, expos and many more. 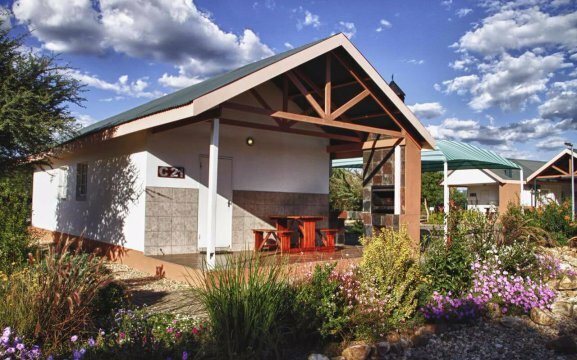 We have buffet menu options available and ample safe parking on site. 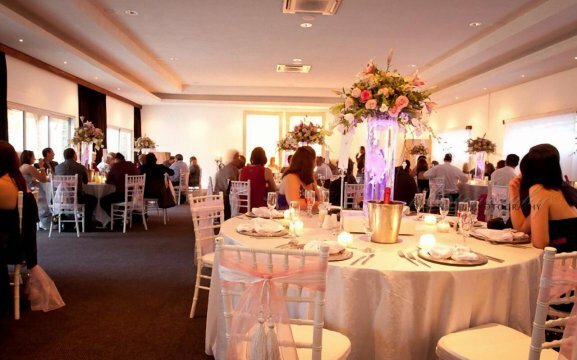 We can accommodate up to 500 people in total. We also have a children’s playground right next to the restaurant – with indoor and outdoor areas. The indoor entertainment area includes 5 X-boxes with a variety of games, while the outdoor area has swings, slides, rope climbing and a swinging bridge.